The G-band vapor radiometer profiler (GVRP) provides time-series measurements of brightness temperatures from 15 channels between 170 and 183.31 GHz. Atmospheric emission in this spectral region is primarily due to water vapor, with some influence from liquid water. The wing channels between 170 and 175 GHz have sensitivity to the presence of liquid water. The sensitivity to water vapor of the 183.31-GHz line is approximately 30 times higher than at the frequencies of the two-channel microwave radiometer (MWR) for a precipitable water vapor (PWV) amount of less than 2.5 mm. Measurements from this instrument are especially useful during low-humidity conditions (PWV < 5 mm). Nicolas J, A Vogelmann, R Scott, A Wilson, M Cadeddu, D Bromwich, J Verlinde, D Lubin, L Russell, C Jenkinson, H Powers, M Ryczek, G Stone, and J Wille. 2017. "January 2016 extensive summer melt in West Antarctica favoured by strong El Nino." Nature Communications, 8, 15799, doi:10.1038/ncomms15799. Mlawer E, D Turner, K Cady-Pereira, D Gombos, DN Bopege, A Chase, V Payne, and M Cadeddu. 2013. Analysis of Spectra from the RHUBC-II Campaign. Presented at 4th Atmospheric System Research (ASR) Science Team Meeting. Potomac, MD. Turner DD, EJ Mlawer, G Bianchini, MP Cadeddu, S Crewell, JS Delamere, RO Knuteson, G Maschwitz, M Mlynzcak, S Paine, L Palchetti, and DC Tobin. 2012. "Ground-based high spectral resolution observations of the entire terrestrial spectrum under extremely dry conditions." Geophysical Research Letters, 39(10), L10801, 10.1029/2012gl051542. Mlawer EJ, VH Payne, J Moncet, JS Delamere, MJ Alvarado, and DD Tobin. 2012. "Development and recent evaluation of the MT_CKD model of continuum absorption." Philosophical Transactions of the Royal Society A: Mathematical, Physical and Engineering Sciences, 370(1968), 10.1098/rsta.2011.0295. Cadeddu MP and DD Turner. 2011. "Evaluation of water permittivity models from ground-based observations of cold clouds at frequencies between 23 and 170 GHz." IEEE Transactions on Geoscience and Remote Sensing, 49(8), 10.1109/tgrs.2011.2121074. Payne VH, EJ Mlawer, KE Cady-Pereira, and J Moncet. 2011. "Water Vapor Continuum Absorption in the Microwave." IEEE Transactions on Geoscience and Remote Sensing, 49(6), 10.1109/tgrs.2010.2091416. Cadeddu MP. 2010. 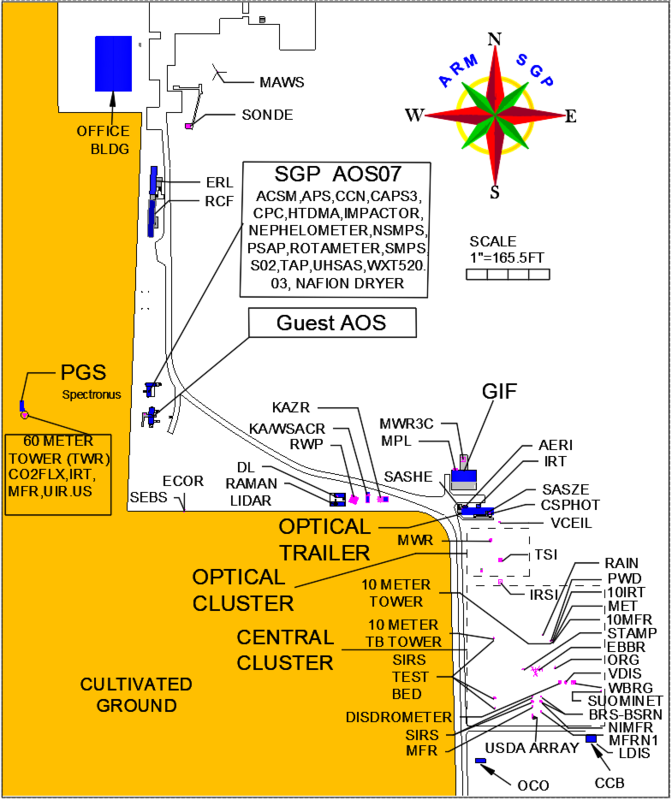 G-Band Vapor Radiometer Profiler (GVRP) Handbook. DOE/SC-ARM/TR-091. Turner DD and EJ Mlawer. 2010. "The Radiative Heating in Underexplored Bands Campaigns (RHUBC)." Bulletin of the American Meteorological Society, 91, 10.1175/2010bams2904.1. Voyles JW. 2009. ACRF Ingest Software Status: New, Current, and Future - January 2009. DOE ARM Climate Research Facility. DOE/SC-ARM/P-09-004.1. Voyles JW. 2009. ACRF Ingest Software Status: New, Current, and Future - February 2009. DOE ARM Climate Research Facility. DOE/SC-ARM/P-09-004.2.